You’ve probably heard by now, but Cecil the lion was murdered. Don’t lie to me and say that you knew who that was before this week, I didn’t for sure. Another person I’d never heard of either, an American dentist called Walter Palmer, allegedly killed Cecil. This happened at the beginning of July, but this week the news exploded on the internet. Twitter and Facebook, and all of the news sites, were swamped with information, so if you want to you can look the now extremely famous Cecil and Walter up. Walter, a keen hunter who has bagged several different species of wild animal went to Zimbabwe expressly to shoot a lion. He paid (allegedly knowingly bribed) $50,000 to kill one of Africa’s most famous and iconic lions: Cecil was one of the main attractions at the Hwange national park. When he was found he had been decapitated and skinned. 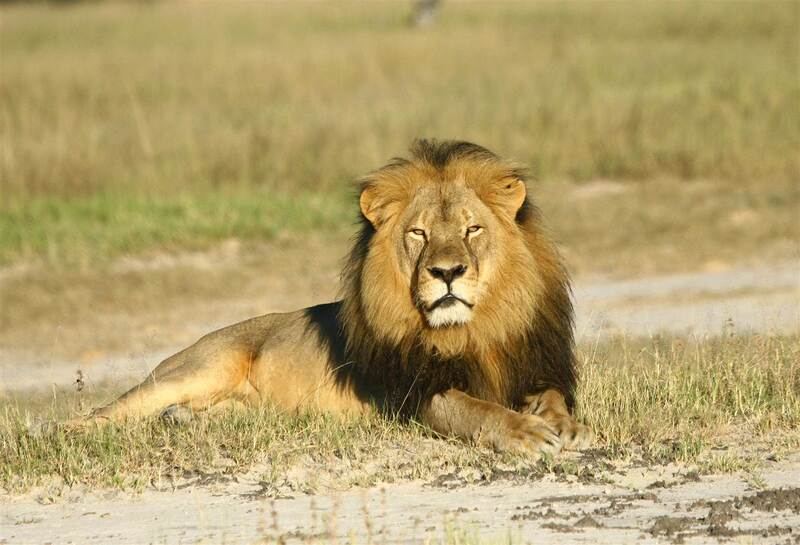 Cecil had been lured outside of the safety of the national park using bait, and then shot with a bow and arrow. A group of hunters then tracked him for forty hours before killing him with a rifle. The hunters are claiming they did not realise that Cecil was an important creature. But they certainly did not miss the GPS tag around his neck (Cecil was part of a significant scientific project run by Oxford University) and tried to destroy the tag. Now that Cecil, who was the head of the pride, is dead there will be a leadership struggle between the other male lions to see who should take over, part of that process will be when the remaining male lions kill the six lion cubs that Cecil had recently fathered in order for the bloodline to change. When I first read this story this week it made me feel disgusted, and I know I’m not alone. But, here’s the thing, it doesn’t really matter if Cecil was a well known lion or not, that part is irrevelant. What is relevant is the ignorance, arrogance and brutality that these acts display. Hunting lions is legal in several countries in southern Africa, but groups must obtain a valid permit from authorities. The money raised from selling permits helps the conservation efforts of the species. About a century ago there were 200,000 lions but that figure has dropped to less than 30,000. The reality is that shooting lions is like shooting fish in a barrel. Lions are big lazy cats, and are not the maneaters that the movies portray them as. You’re more likely to be hurt by a frustrated lion in a zoo than be in any danger in the wild. The plain fact is that even I, if I wanted to, could take a gun and kill a lion, it doesn’t take any skill or bravery. What does take effort, and intelligence is the development of a resistant conservation programme for lions and the other wild and endangered species across the world to be enabled to breed and live in their own natural environments without humans wanting to kill them for entertainment. Walter is not the first person to be outed for slaughtering an endangered animal, I can think of a few Spanish people who have been in the news, the previous King Juan Carlos for example. And consider this: is there any real difference between killing a lion and a cow? Perhaps we should remember to be as outraged at the factory farming industry as we are at the death of Cecil. It is possible that Walter Palmer will be extradited to face charges of bribery, (not for killing an endangered animal) and two other people involved in the hunt have already been arrested and face lengthy jail sentences. What did this man think he was going to get out of his hunt? I haven’t read anywhere about Walter enjoying a bowl of lion soup. No, he’s got his trophy skin, and lot more than he bargained for as well. But that my friend is the law of the jungle, and perhaps this is the turning of that particular tide. You know it’s a good sign when businesses are launching themselves in your island. A couple of weeks ago I had the good fortune to be at the Pouf Daddy launch. Cute name huh? The business is owned by Steve Crompton and Ben Sowton and supplies contemporary designer ‘flexible furniture’ for indoor and outdoor use. Or beanbags to you and I. But not just any old beanbags, they are the “Daddy” of beanbags, and mighty comfy too. Both of the owners of Pouf Daddy are Mallorca residents and have many years of experience in the events, restaurant, design and music industries as well as being passionate sailors. They came up with their business idea after noticing a gap in the furniture market for products which are comfortable, durable, stylish, and fun. “We started our business from scratch and designed our range of beanbags, including ones for babies and dogs” said Ben, “It’s fitting that the bespoke part of the Pouf Daddy range is made here in Mallorca as this is designed specifically for the Marine industry”. The other beanbags feature a variety of quality fabrics, including linen, velvet, denim and faux leathers with a wide choice of colours. “We have been instrumental in the development of the business every step of the way which makes us even more proud of the reception it received at our launch party”, concluded Steve. “We want everyone to have fun with our creations; they are extremely comfortable, both for the bottom and for your wallet”. All of the beanbags will be available to purchase online at www.poufdaddy.com. What excites me about the range is not only a new business for Mallorca, but it seems to have been designed to fit in with the kind of lives we lead here. I like the innovative approach, and the user friendliness of the designs, they look funky, and they look hardwearing. 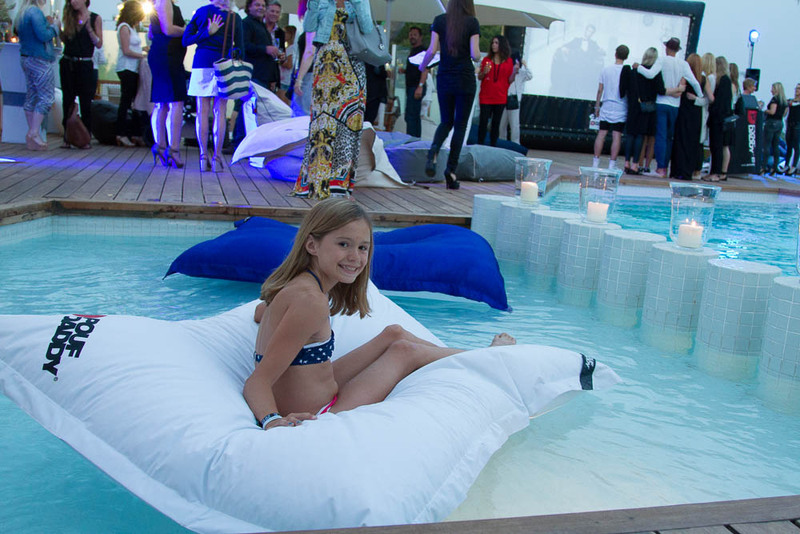 AND their beanbags float in swimming pools for crying out loud, why hasn´t anyone thought of that one before? Wunderbar, good luck chaps, I hope you make a big success of your new venture. I can’t get no sleep. The weather has put a spell on us. People who once were rational, and reasonable cannot stand to be in a conversation. Tight lipped smiles from receptionists and cashiers, brightly voiced telephone marketers, fellow sweaty motorists: they are all having to take the brunt of our unhappiness. Everyday everyone speaks about the weather. Will it ever break? Have you heard there is another heat wave on the way? Did you hear about the temperatures in Madrid? Everyone’s hair is frizzy. The air con, if you have it, has given you a cold, so you have heat exhaustion and a runny nose. No one has an appetite, not for food, nor work. The heat has removed all ambition or purpose. Hey Speedy, what’s the hurry? As the sun goes down so should the temperatures. But not in our stone walled house. Like a pizza oven it conserves the heat long past sunset. The coolest place to be is on the streets, or in the village pool. We read that beer is almost as good at rehydrating as water, this is good news for local custom so ice cold cañas all round. Deep in the night, when the air should have cooled it is still as thick as treacle. Hardly anyone is sleeping. Instead we lie under fans like goldfish out of their bowls, gasping for air. Even the lucky ones that sleep comes to are being conned. It’s a fitful, fretful version of sleep, like a colicky baby. 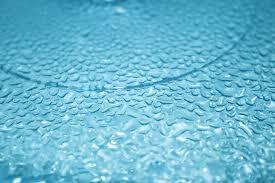 We wake, we turn, we drink some water; we cannot bear to touch the clammy skin of our bed partners. We shower and return to bed dripping with water, thrilled that for a few minutes we will find relief as the air from the fan blows across our dampened skin. Then we sleep again, a little. We wake, we turn, we sleep. Sometimes we dream. But the dreams are confused, anxiety dreams of losing children, or missing a train dressed only in our underwear. When we wake, emerging from a dark water pool into the morning we are wet through. When we rise we leave behind salty traces on the bed sheets where our limbs once were. Impossible to believe that three months ago we had electric blankets and heaters on. The jumpers and long trousers are folded up away in a cupboard, guarded by mothballs and plastic wrappers. It seems so long ago.